Here at CreativeOne, we’ve identified how important an agent’s brick and mortar assets can be to Google and how important claiming an agent or advisor’s online assets can be to their organic web traffic. The main problem we constantly face is leveling the playing field with larger companies like Morgan Stanley, Vanguard or Edward Jones. While there are marketing benefits to being with a larger company such as those, being an independent agent is an important part of many of our clients’ business models. However, we have learned that through advanced technology and leveraging our vendor tools like Advice Local, we are able to improve website traffic by claiming their online assets. We first began by taking the agent’s foundational assets and created custom content and an SEO strategy for their brand. We enhanced their content by using optimized keywords, having a consistent blog and active social media profiles, demonstrating their thought leadership and confirming their authority to potential clients. We then claimed all of their online assets with the help of Advice Local. From Google to Yellowpages, with their help, we were able to evaluate local listings for consistencies and opportunities. This was an imperative part of the strategy because not only did this help the client’s website and web presence improve in Google’s algorithm, making the client’s website an authority, but it gave the company itself the opportunity to be found by potential leads in places that weren’t claimed prior. We recently did a case study on one of our clients comparing their local SEO before they optimized their website (August 1, 2015-April 30, 2016) to after their website was optimized (May 1, 2016-January 29, 2017). These two separate nine-month groups show perfectly how important it is to optimize your business to local SEO and listing management. The agent’s business is located in Winston-Salem, North Carolina. Just for that area local alone, the amount of sessions from before optimization increased 540% after optimization. In the same area, the amount of new users increased 300%. Our agent was also not opposed to a little windshield time, so we included Charlotte, North Carolina, in our optimization. The amount of sessions from before optimization increased 77.78% after optimization. The amount of total new users increased 42.86%. We noticed as the website traffic increased the organic traffic became more focused, and traffic in neighboring states and throughout the United States fell. For example, the agent’s web traffic in Atlanta (almost 5 hours away) significantly decreased by -66.67%. We are still fighting an uphill battle when it comes to taking on the big guys, but seeing these wins for our agents help reinforce our website best practices, including leveraging local SEO opportunities and developing content strategies that work with Google’s algorithm. We see results very quickly, and claiming online assets can really make an impact on the amount of traffic to our agent’s website and their ranking in search results. Not only does it capture customers and clients, it creates consistent and clean content for your captured leads. 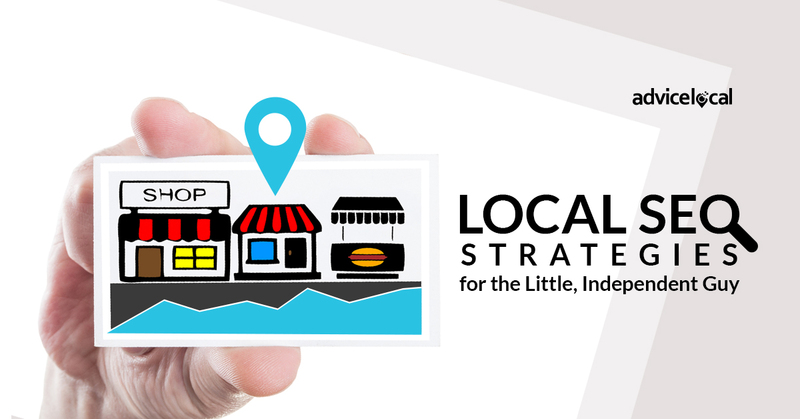 Are you ready to help your clients to expand their local footprint? Find out more today! I really enjoyed reading this case study, and I agree with point 3 in your plan. Unfortunately, the financial advisory industry as a whole is behind the SEO trends, so usually just claiming and optimizing those business citations are sufficient to improve rankings and site traffic. A interesting article for the future would be how you handle reviews on review sites (i.e. Yelp) with all the compliance standards that advisors have to abide by. Leonard, thanks for the insights! The financial industry is definitely starting to use citation optimization a bit more, so those that start now will be ahead of the competition.